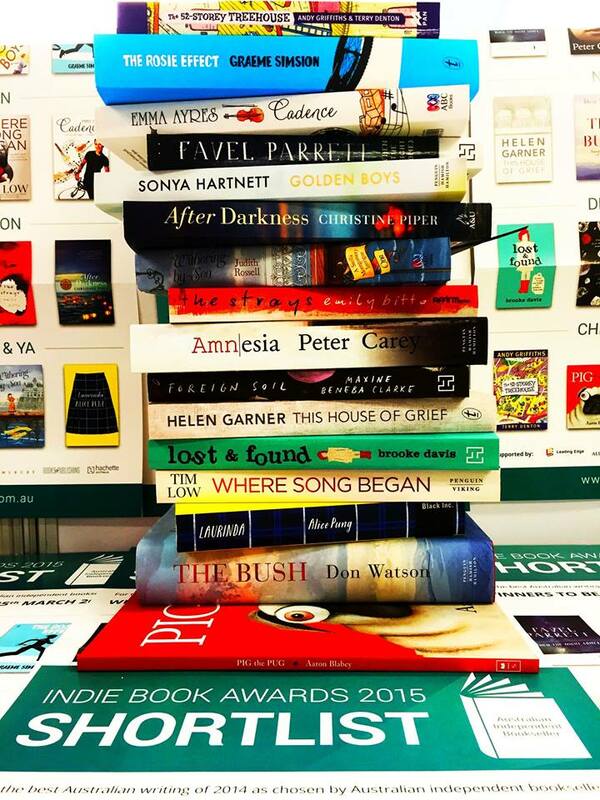 My personal reading challenge is to read all these on the Indie Short List 2015 before the winners are announced 25 March. Can I do it? Sadly no I left my run too late, too much happening in my world, cooking, passata making, holidays and so many other books to also try and fit into my day. I did however finish reading the Fiction Short List and wonder how anyone can compare apples with kofta? I would not like to be on the panel of judges – all these book are so different – in subject matter, style, view point, genre….How do you choose? I cant pick a winner here – I think it will either be Golden Boys or When The Night Comes. I loved both, for varying reasons. The Non Fiction Short List – I didn’t get very far here at all. I read This House of Grief and thought this was a very well presented case study of the Australian Court System and a very sad story as true crime goes. I do intend to read The Bush – my husband loved it – and that is a pretty big recommendation. I think that The Bush will win – even though I have not read it yet I can see from the blurb and other readers responses that this is, in general, well received (and if my husband liked it it must worthy). The Debut Fiction Shortlist – I read 2 of the 4 and predict Lost and Found will win – it is such a delightful read….it made me smile and that is a good enough reason for an award. The Children/YA Shortlist– sorry didn’t get an opportunity to read any and have no idea about any of these …again how can you judge such different books pitched at such different age group/audiences…? I eagerly await to hear the winners announced on the 25th March 2015. Judges from the Leading Edge group of booksellers will select the Indie Book Award winner of each category and the Indie Book Awards overall winner is voted on by the Leading Edge group as a whole. The Indie Book Awards category winners and the Indie Book Awards overall winner for 2015 will be announced at an event in the Sydney CBD on Wednesday 25 March. Thanks for posting this list as I love to try to read books that are in the running for awards…especially the fantastic Indie Book Awards. Just curious, did you get a chance to read Laurinda by Alice Pung? I absolutely loved it!